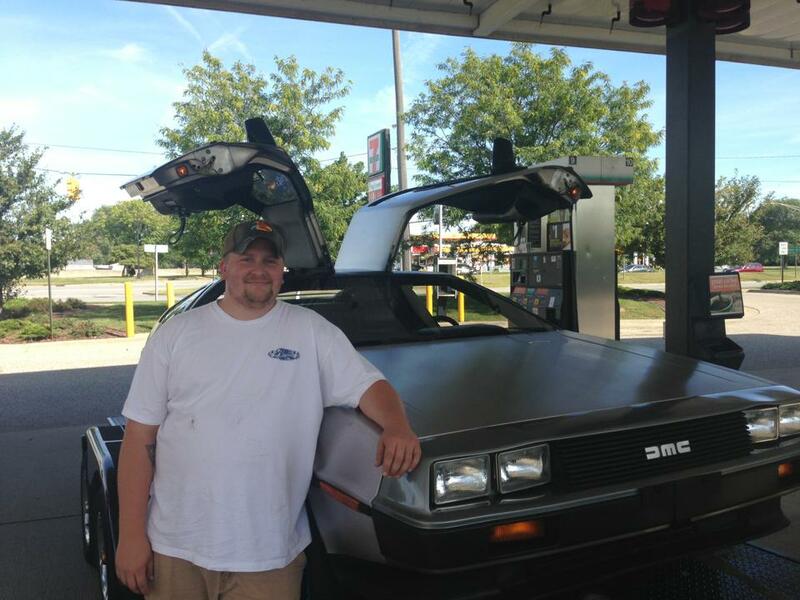 Kolin Brown, an Indianapolis native, grew up in the era of the Back to the Future Trilogy and was instantly hooked on the iconic design of the DeLorean. He currently is employed by the Federal Aviation Administration in Power Generation and Distribution. He has built a ’52 Pontiac rat-rod, is currently restoring a ’29 Ford, and of course is crazy for his '81 DMC-12! Outside of work and cars, he is an avid bluegrass musician and loves spending time with his lovely wife, and their 10-year-old daughter Kirsten. Richard Vermillion was born in Indianapolis, Indiana. In the 5th grade his family moved to Bloomington where he lived until moving to Lebanon to raise the numbers of DeLorean ownership for that small town. He is an Automation NCO for the Army as of 1999 and has attained the rank of SFC. His free time is spent fixing computers that aren't Mac's, web creation, and iOS app development. He bought his first DeLorean in 2006 from a Dentist that lived a few miles from his childhood home. His current car was purchased after deeming the first car too costly to fix. His son, Little Rick, is also a future computer nerd and DeLorean enthusiast.